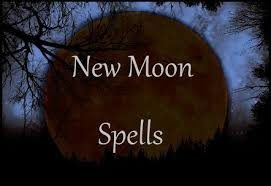 The new moon is a time of initiation and new beginnings. It is the time to plant a seed of what you want to grow in your life. Making a wish, an intention, a promise, or a vow is a common custom. It is believed that as the moon grows, that your intention or goal will too usually by the time the moon completes its cycle and returns full circle to new again. This is one of my favorite practices. It helps me focus in on where I need to stop being so damn stubborn (my rising sign is Leo, so I can’t help it). You write down all of the people you want to forgive—don’t write it down if you’re not ready to forgive someone yet, anger is valid and real and takes time to work through. Have a name on separate pieces of paper and write alongside the name what you are forgiving this person of. Then grab a large glass jar. Take a lighter and carefully light each piece of paper on fire and allow it to fall into the jar. Speak out loud the person’s name and what forgiveness you’re offering them. Pro tip: it’s good to have a Bay Leaf nearby while you practice this. It will protect you from any spirits you wake up while letting go of grudges.ourite practices. It helps me focus in on where I need to stop being so damn stubborn (my rising sign is Leo, so I can’t help it). You write down all of the people you want to forgive—don’t write it down if you’re not ready to forgive someone yet, anger is valid and real and takes time to work through. Have a name on separate pieces of paper and write alongside the name what you are forgiving this person of. Then grab a large glass jar. Take a lighter and carefully light each piece of paper on fire and allow it to fall into the jar. Speak out loud the person’s name and what forgiveness you’re offering them. Pro tip: it’s good to have a Bay Leaf nearby while you practice this. It will protect you from any spirits you wake up while letting go of grudges.